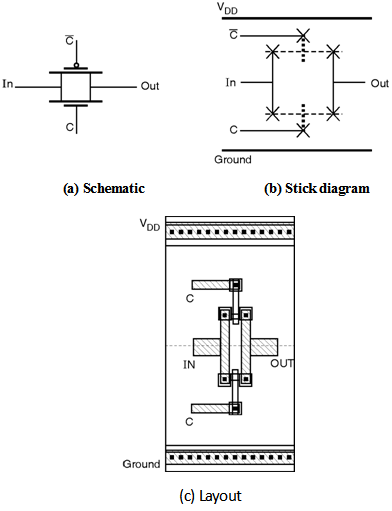 Figure below shows, the schematic, stick diagram and layout of three input NAND gate. 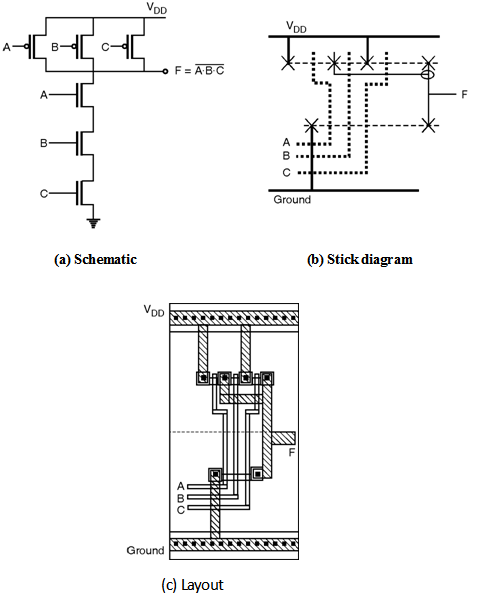 Figure below shows the schematic, stick diagram and layout of two input NAND gate implemented using complementary CMOS logic. 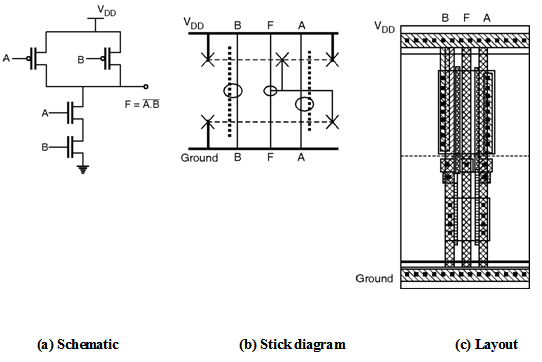 Figure below shows the schematic, stick diagram and layout of two input NOR gate implemented using complementary CMOS logic. 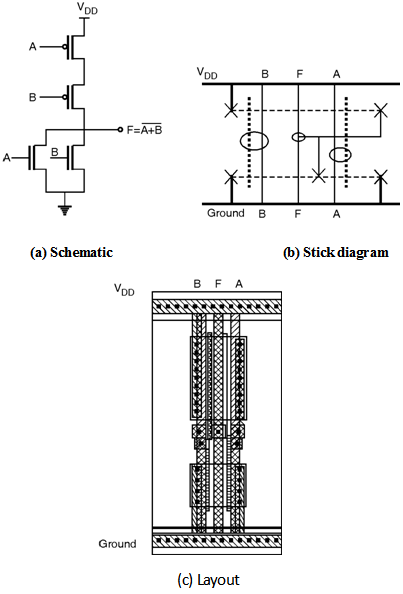 Figure below shows the schematic, stick diagram and layout of the transmission gate.